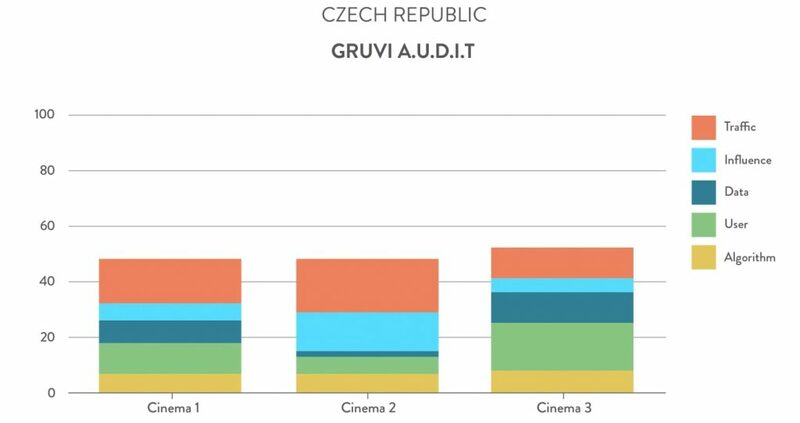 Welcome to the second analysis of the websites of cinema chains in Europe, where we at Gruvi continue to ask that all important question “How effectively are European cinemas reaching Online audiences?”. In this months episode we will be looking at the cinemas located in smaller European markets. Traffic: Shows the traffic each page generates within a month, how long people stay on the page and how many different pages within the site are visited. This phase of the study comprises five markets: Czech Republic, Ireland, Poland, Switzerland & Austria. Each cinema’s score is determined relative to its local competition. Data collection and analysis were conducted through market leading software for search engine optimization (SEO), social media and web analytics. Cinema names will be kept anonymous in the analysis but should cinemas wish to understand their ranking they are welcome to reach out to ben@gruvi.tv. 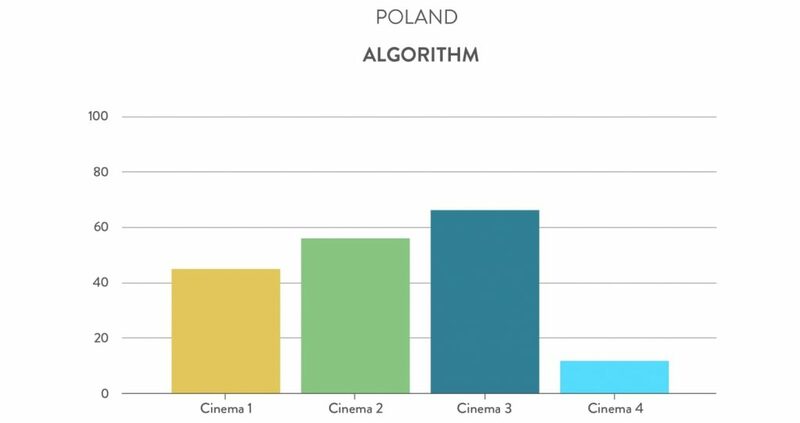 The strongest outliers for working with Google algorithms were found in the Ireland and& Switzerland, closely followed by cinema operators in Poland. 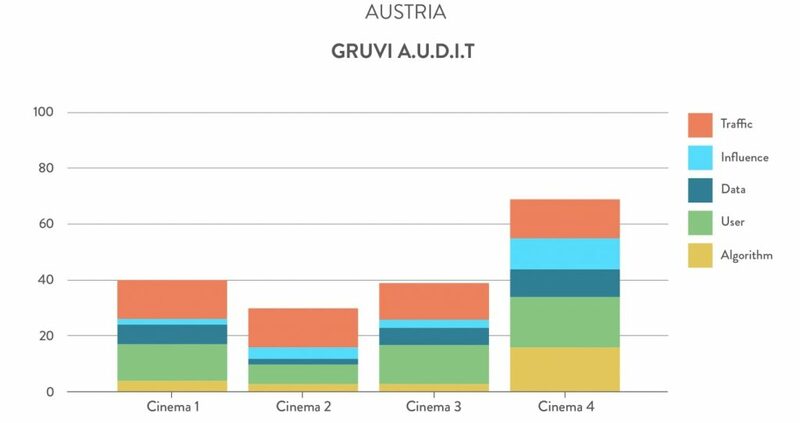 The strongest performing cinema chain, however, was in Austria. Approaches to SEO and other forms of optimization varied across the study indicatinge that many of the chains analyzed have yet to introduce a comprehensive SEO strategy. 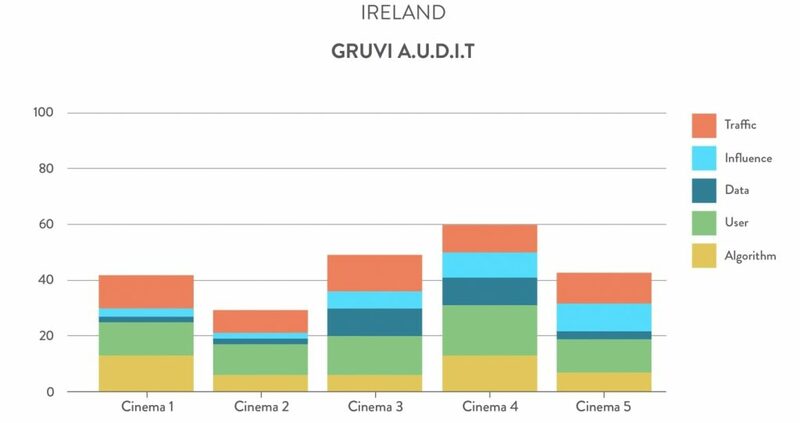 We’ve highlighted this as a major opportunity for cinemas who have not invested in SEO – but with the caveat that the process can be costly and involve significant development time. Working with various search algorithms develops free traffic from a hyper local perspective – particularly for film title -related searches. It’s in a cinema’s best interest to be at the top or at least on the first page of any search results. This factor becomes especially important as trends in mobile searches continue to increase. Serendipity is the name of the game so if you are not discoverable at the right place and moment you are missing out on important audience development opportunities.you are not in the game. Currently users are finding films at their local cinemas from movie title- related searches at least 55% of the time. We recommend cinemas that have not invested in a comprehensive SEO strategy begin this important investigation as soon as possible. Starting in 2018 the Google algorithm places considerable more weight than before on the presence and quality of mobile websites. Considering that cinemas mobile websites will be another important criteria by Google starting from 2018. 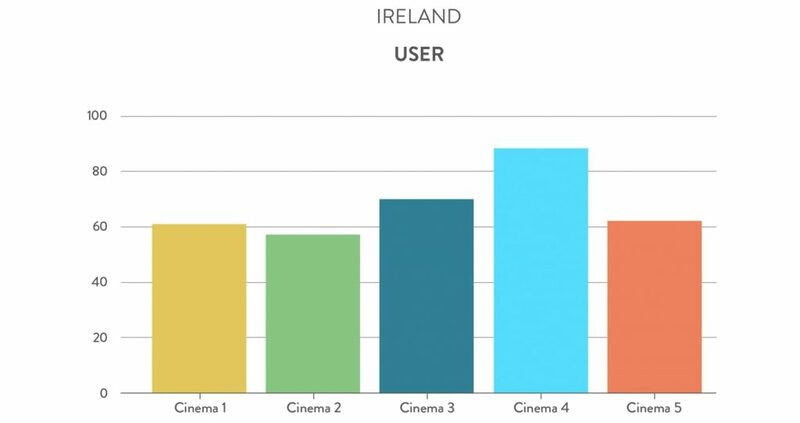 User experience across cinema chain websites was strongest in Ireland. The outliers (i.e. 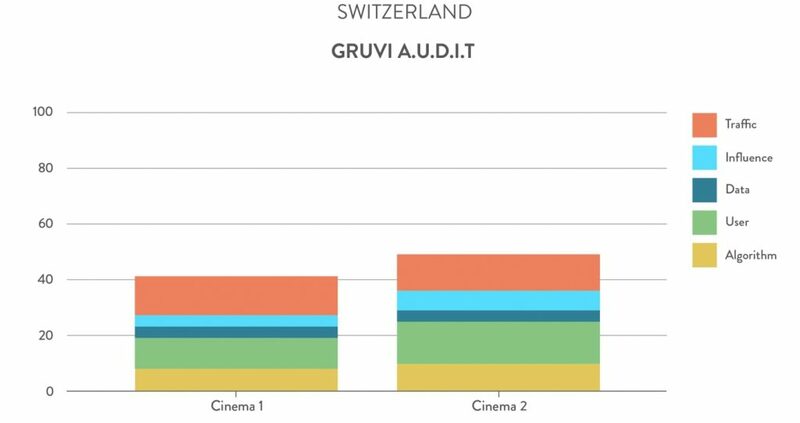 best) cinemas were in Austria and& Switzerland. In general, cinema operators performed well in providing useful information to their audiences about films;, some even had advanced ticket systems that streamlined the process of booking online. Many cinemas had also made the investment into mobile apps for communication. A general weakness we saw consistently repeated across the study was the process of creating a user profile. On many occasions data entry forms were particularly difficult to fill in on mobile. Little attention was also placed on capturing intent for upcoming movies – with no way to register interest or trigger a reminder for films in the ‘coming soon’ section. Cinemas have a long way to go in terms of personalizing the presentation to specific types of audiences and streamlining the process to make ticket booking, registration, and interest recording easier. `Anyone looking at the work of Netflix can see the massive levels of investment that go into personalization. 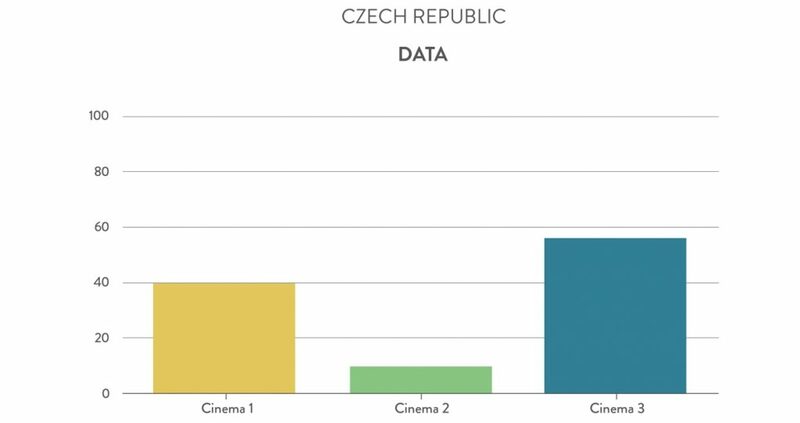 The country where data capture routines wereas best integrated into the user journey was the Czech Republic, with the outlier (best performing) cinema in the Austria. In order to use the full potential of the digital ecosystem and understand your audiences, website AaddOons have become a mandatory integration for cinemas to build audience centric strategies. 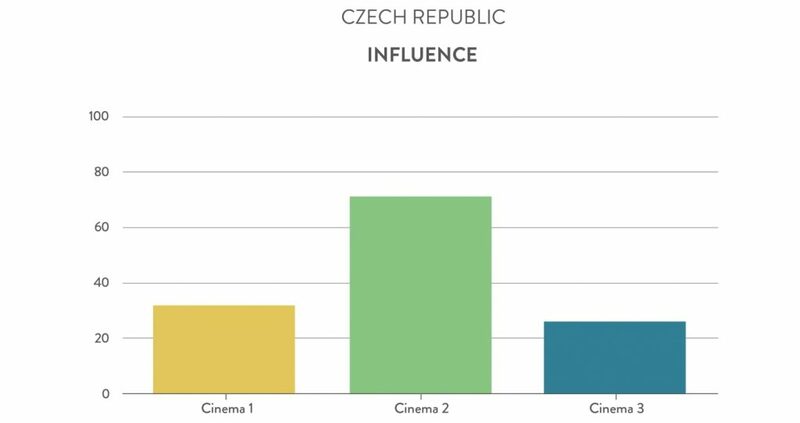 We found that measuring the success of online marketing and discovering audience touch-points on cinema websites are not that widespread in any of across all the countries analyzed. Basic architecture- like the institution of proper tagging for online advertising, remarketing, and audience segmentation- is being overlooked by most cinemas in the study. 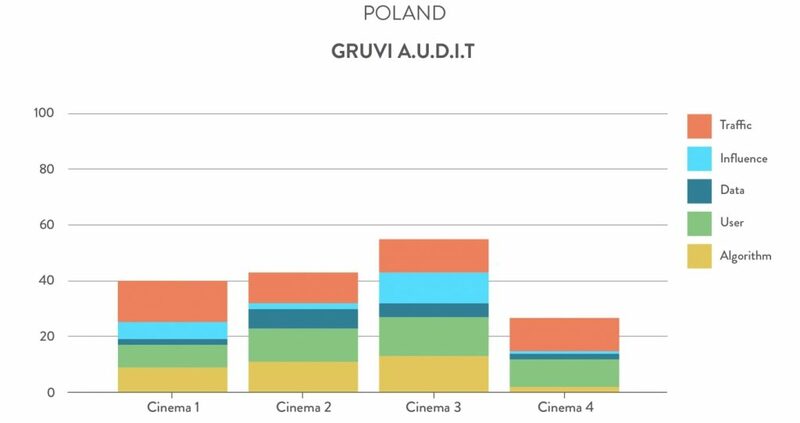 Cinema owners should be treating their locations as catchment areas for good audience data collection routines that follow the guidelines of GDPR so that they can better understand and segment their digital audiences. This understanding can lead to very interesting evaluations of the different customer segment groups, which in-turn can be used to improve many other aspects of an operator’s website, such as the user experience discussed previously. Social media, if approached correctly, is a continuous source for new prospects. However it needs to be integrated into an organization’s ongoing business practice instead of being conducted in a “silo”. We found the Czech market made the most effort in this area. We emphasise strategies that use unique content and communicate with an audience via social media in a manner that is distinct but relevant to the brand in a way that helps reinforce the user journey and generate further website traffic. Consider “the new black” to be a (video) blog or partnerships with influencers; great new opportunities to share with cinema lovers. The impact of the brand for most cinema chains we surveyed was very strong; up to 90% of site visitors came from direct website visits or organic search traffic. On the other hand social media, referral traffic, display advertising or newsletter returns played a relatively a minor role as traffic sources and if developed properly could be very important. 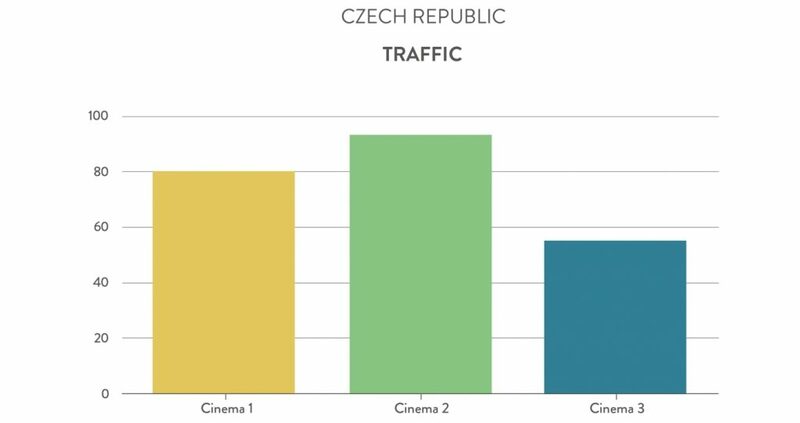 Czech Republic’s cinema websites scored best in the traffic category, but considering the population of Poland, there is a lot more opportunity in these markets. To sell tickets, cinemas should focus more on building strategies to extend their traffic by attracting people from different sources, while working on user interfaces, routines and navigation-flows that encourage users to return. Cinema operators should work on an omnichannel approach to capture attention across devices and platforms. Mobile optimised sites, from a usability and SEO perspective, were generally quite poor. With Google’s emphasis on the mobile experience and the advantages that this will confer to future optimisation, cinemas need to be optimising their websites across the board for these coming changes. Significant opportunities for future traffic lie with those that do. SEO was generally identified as a weakness across the study. It’s time for cinemas to review the Content Management Systems powering their websites and audit effectiveness to ensuring that SEO optimisation can easily be managed as apart of a content strategy. For example, there are tools out there that can be integrated with blogging platforms that provide the editor with insights into the SEOseo potential of the article or page as they create it. We again found that blogs were largely missing from our analysis of most cinema websites. Employ or engage a dedicated SEO specialist as part of the marketing team. Focus more on the Mobile Website Version than spending on an App. Attract younger audiences via different social media channels, entertain them no matter where they are to extend the cinema’s online experience. Focus on creating original new content and testing this for audience response. The key to differentiation is understanding the segmentation of audiences – understanding who your core audiences are online, how they communicate and how they move through your cinema website experience. Ben Johnson is the CEO of Gruvi, a technology based media agency that helps film distributors reach and engage online audiences. He began working in film marketing in 2007 and has worked on over 300 movie campaigns for companies like Warner, Disney and Sony, as well as smaller indies like Wild Bunch, Scanbox and Dogwoof.